I saw this adorable poem the other day, and had to share it with you all. 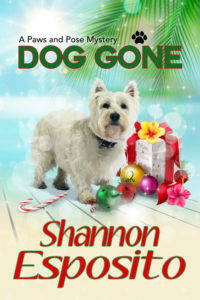 And we have a fun doggie new release, with a Christmas theme, from Shannon Esposito! and rabbits too, I bet. It’s Christmastime on the exclusive island of Moon Key and Elle Pressley, doga instructor, is excited about her new client—movie star, Talia Hill. But that excitement quickly turns to shock when Ms. Hill’s dog nanny is found dead and her beloved terrier, Ginger, goes missing. With the help of her P.I. boyfriend, Elle leads the search for Ginger. As suspects pile up, a ransom note arrives demanding a million dollars for the safe return of Ginger. When the ransom drop-off goes horribly wrong, Talia Hill falls into deep despair. Elle is determined to get Ginger back for her but the clock is ticking and an elusive killer holds their fate in his hands. Can Elle pull off a Christmas miracle? Shannon Esposito lives in a magical gulf coast town with fluorescent sunsets, purple dragonflies and the occasional backyard alligator. Her mysteries transport readers to Florida without the hefty price of airfare. 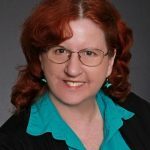 She is the author of the Pet Psychic Mystery series set in St. Petersburg, Florida and the Paws & Pose Mysteries set on the ritzy, fictional island of Moon Key and featuring doga instructor Elle Pressley and her canine sidekick, Buddha. 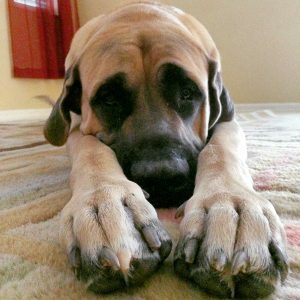 This entry was posted in Announcements, New Releases, Giveaways & Contests, Just for Fun and tagged Christmas, cozy mystery, dogs, fun doggie poem, misterio press, mystery novel, mystery series, new release, Paws and Pose Mystery, Shannon Esposito on December 11, 2018 by Kassandra Lamb. Have You Ever Been Haunted by a Goddess? Over the past few years, a character named Alice has haunted me. 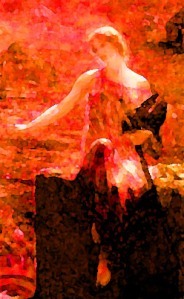 She made her debut in a piece of flash fiction I wrote in 2011 called Mario’s Goddess. She now officially has her very own full-length story in my new psychological suspense, THE BURNING. 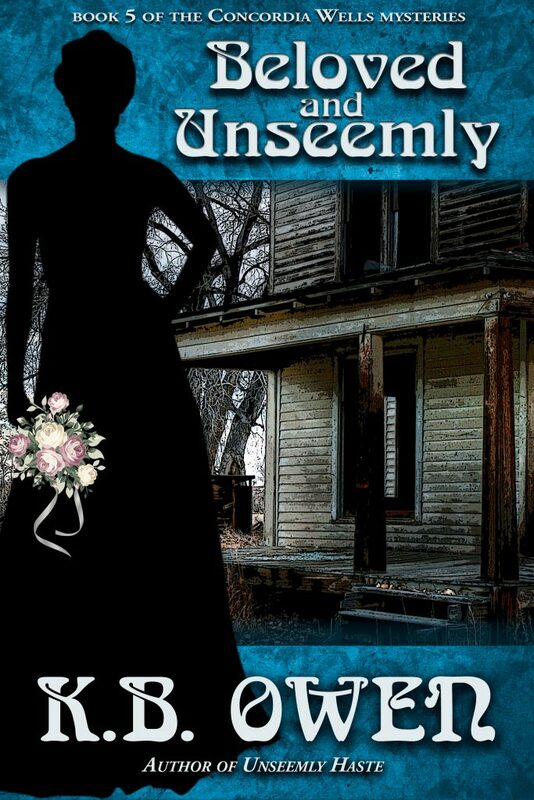 This book came to me differently than my cozy mysteries, and it’s a much darker tale. In the flash fiction story, Alice is the goddess of war and is locked up in a mental institution. Over the past couple years, her character wouldn’t leave me alone, but I didn’t know what she wanted. What were the opposing forces in her life? What was her story? Some of her life came to me in pieces, scenes actually, that I dutifully wrote down over the years. She was a mother with two small children. She was orphaned at birth, spent her life in and out of a children’s home. She couldn’t remember anything before her thirteenth birthday. I have to say, she confused me. Was she a goddess of war? Was she a human mother? Was this a fantasy story? Magical realism? Paranormal? And then it hit me. 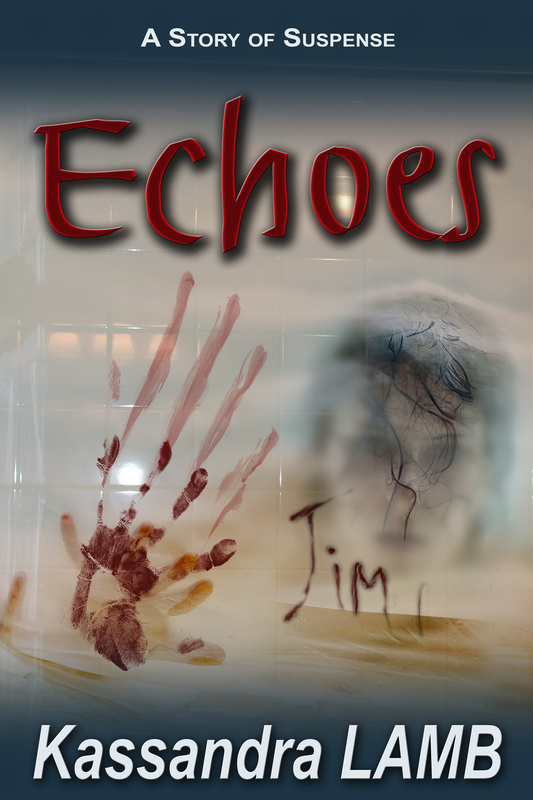 She was both a human mother and the goddess of war, and this was a psychological suspense. They don’t call it multiple personalities anymore, now it’s called dissociative identity disorder, and this is what Alice has. Or does she? (I’ll let the reader decide.) One of her personalities is Kali, the goddess of war, and she insists she’s a goddess having a human experience. 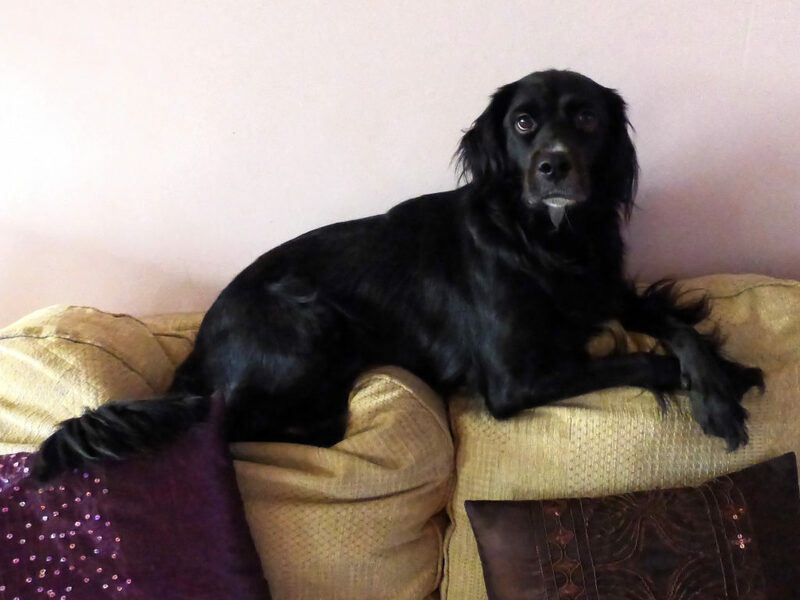 She’s also the one who gets Alice into serious trouble. Arrested for arson and murder, in fact. Alice Leininger seems to have the perfect life. She’s happily married, has two beautiful children, a close-knit group of friends, and a cause she cares deeply about. But beneath the surface, her world of safety and comfort is unraveling. The periods of lost time she’s kept secret—even from her husband—are happening more frequently. She certainly doesn’t remember leaving her Sarasota home at three-thirty in the morning to burn someone alive. Now she sits in a Florida state mental institution, awaiting judgment on whether she’s fit to stand trial on charges of murder and arson. While a psychologist works to help Alice face her past, her future depends on the answer to one question: How far did she go for justice? *This book is recommended for mature audiences. While there are no explicit scenes of graphic violence, it does touch on mature themes. How about you? Have you ever felt like you were haunted by a god or goddess? Do you believe in the Goddess of War? S.O. 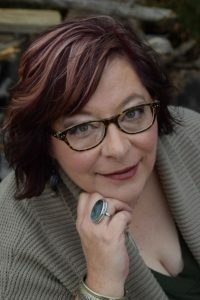 Esposito began her writing career as a cozy mystery author under her full name, Shannon Esposito. She has four books in the PET PSYCHIC SERIES (misterio press) & two books in the PAWS & POSE SERIES (Severn House). 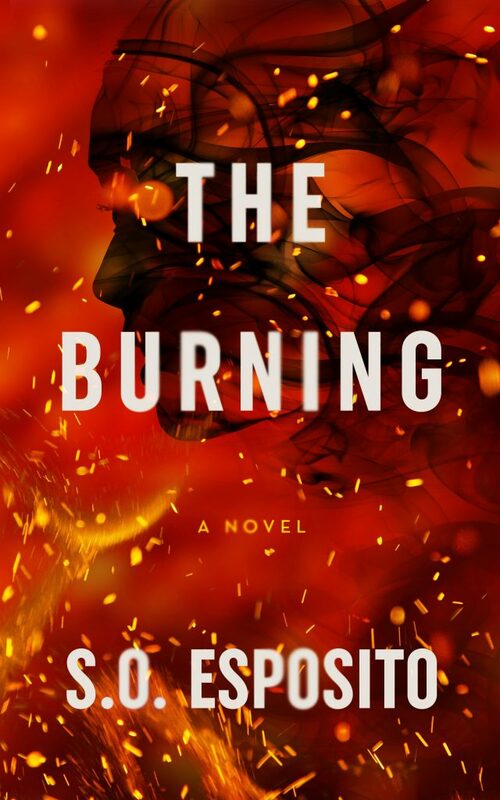 But to keep her muse happy, she’s ventured into darker territory with her suspense debut THE BURNING. She lives in the sunny state of Florida with her husband, twin boys and two mastiffs, where she is an avid reader, beach-goer and lizard wrangler. 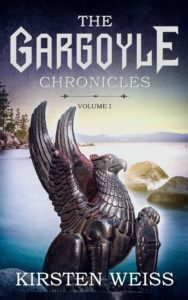 This entry was posted in Announcements, New Releases, Giveaways & Contests, On Writing, Thrills & Chills and tagged anger, Goddess of War, haunted by a character, mental health, new release, psychological suspense, psychology, relationships, Shannon Esposito on April 10, 2018 by Kassandra Lamb. In order to spend more time writing great stories for you all, we’ve decided to cut back a bit on our blogging schedule in 2018. We will be posting every other week, unless something particularly interesting or cool comes up during the “off” weeks. 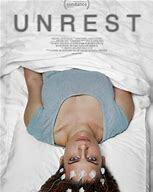 I just watched this documentary UNREST by Jennifer Brea, about her life after she was struck down with Chronic Fatigue Syndrome. It’s a powerful film and I hope it succeeds in getting the medical community to take this illness, which affects millions of people, seriously. I am one of the people affected, though I rarely talk about it. I don’t talk about it because I don’t want this illness to define my life. But that’s not the only reason. I don’t talk about it because a lot of people don’t believe it’s a real illness, even people in the medical community. Everyone gets tired, right? And I get it. Unless you are going through it or watching a loved one go through it, it’s hard to imagine the kind of debilitating fatigue where breathing is all you can do, for weeks, months or even years, depending on how severe your case is. This entry was posted in Uncategorized and tagged CFS, Chronic Fatigue Syndrome, fibromyalgia, health, misterio press, mystery novels, Shannon Esposito, unrest on January 9, 2018 by Kassandra Lamb. 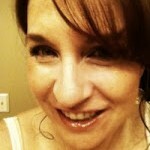 This post is part of a Spring Fling Blog Hop sponsored by our sister author, Kirsten Weiss. Below is a list of more fun and interesting posts about Spring! We at misterio decided to do a group post about our favorite spring flowers and what they mean to us. This ended up evoking some interesting insights, emotions, and memories. We’ll start with the newest member of our misterio press family, Gilian Baker. 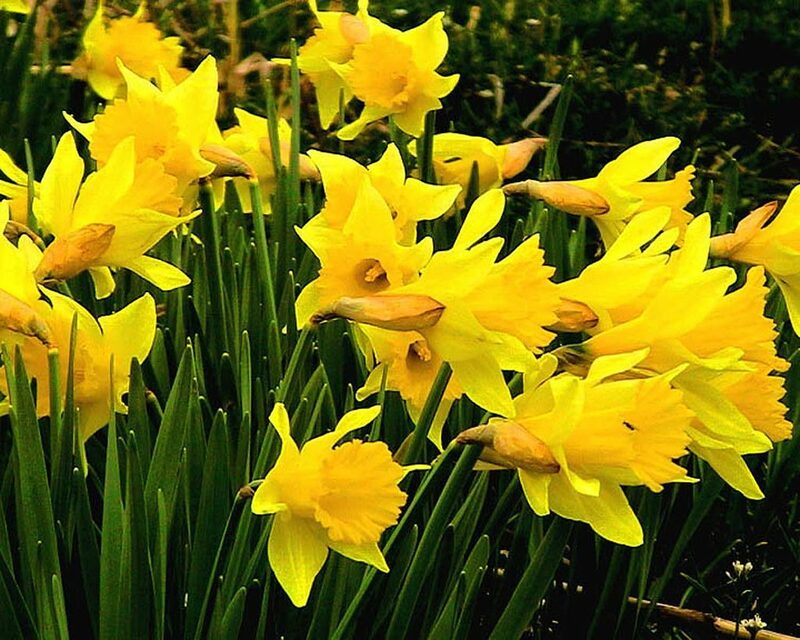 My favorite flower is the daffodil. When I was a young girl, my grandmother had a big yard full of flower beds, including lots of these delicate yellow buds. Now, when I see them, I always think of her—she was so delicate and lovely too. They are always the first flowers to come up and point their faces towards the sun in the spring. When I see daffodils and my first robin, I know spring has finally sprung! They don’t last long, but while they do, they bring me great joy. 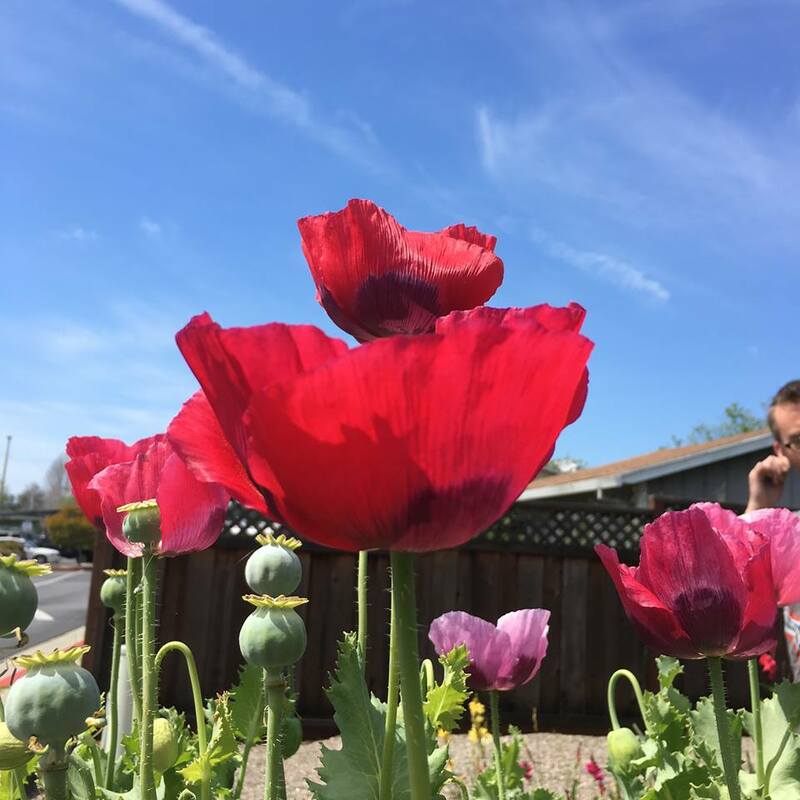 I have to go with the big red and pink opium (shhhhhhh) poppies in my yard. These poppies will spring up from casually sprinkled seeds (my type of gardening). I received the original seeds for these flowers from a local woman who was growing the red ones in her yard. Once I had the red poppies springing up in my yard, a strolling neighbor saw them and offered me seeds for pink ones, in exchange for seeds from my red ones. And so the beauty proliferated. And we have another lazy gardener, Shannon Esposito. 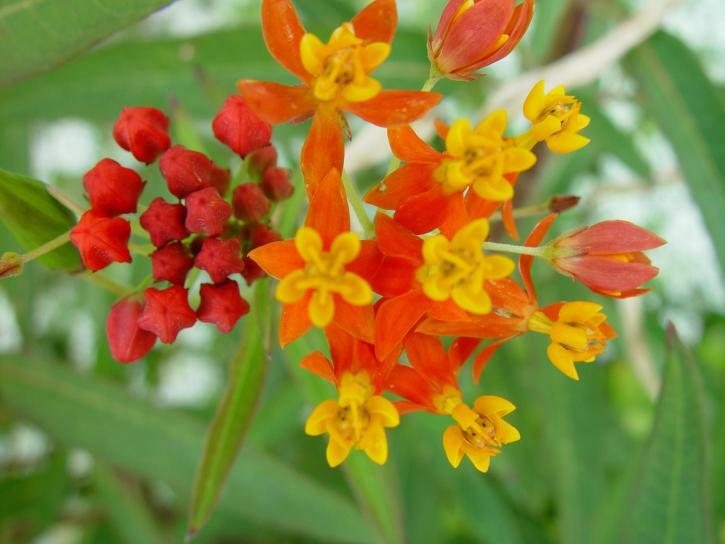 Red Butterfly flowers (Asclepias) are my favorite. Mostly because their orange-scarlet flowers attract butterflies all summer long, but also because they thrive in our scorching Florida summers. All I have to do is sprinkle some seeds and leave them alone. If my homeowners’ association allowed it, I’d have a yard full of wild flowers instead of grass! My favorite flower is the hibiscus, although I’m fond of azaleas too, and roses… Actually, I love all flowers, but my garden only has a few that thrive (azaleas and camellias). I have a brown thumb, meaning I don’t kill plants right away (like a black thumb person does). Instead, I slowly torture them to death. 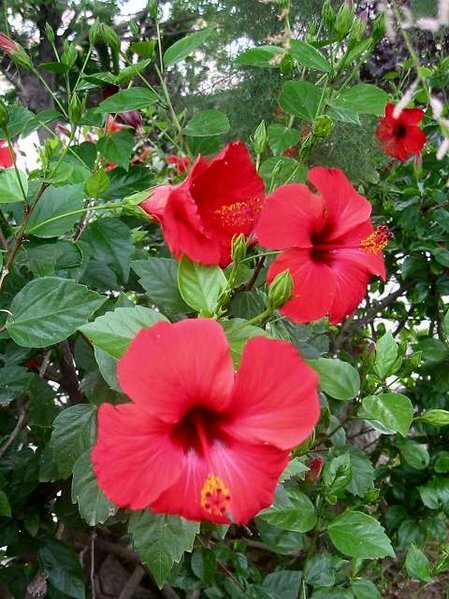 I like hibiscus best because they represent the subtropical climate of Florida that I love. Unforntualtey, I’m not quite far enough south to successfully grow them in my yard (and then there’s that whole brown thumb thing). And another wonderful memory from Kathy Owen. My fave is the common daylily. It’s beautiful, nearly indestructible, and it reminds me of my dad. 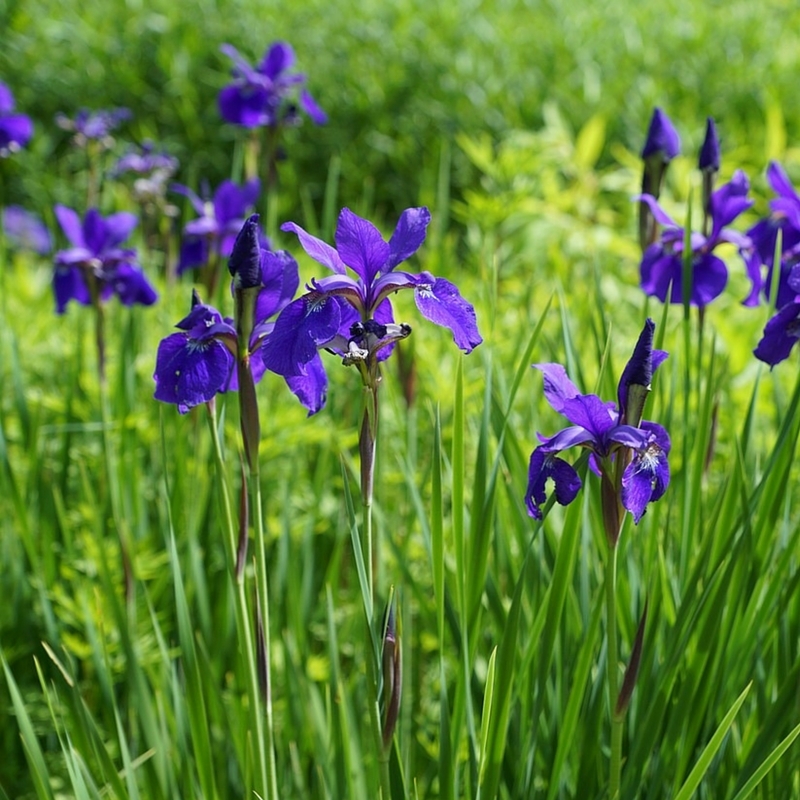 When I was growing up, my dad would be driving and pull off along country roadsides, dig up some plants and stick them in his car (if a house was nearby, he’d ask permission first, to the bemusement of the people who saw the flowers as pretty weeds). Then he’d transplant them along our split rail fence until the entire back and sides were lined with them. And of course, they multiply like crazy, so he’d give them away to anyone who wanted them. 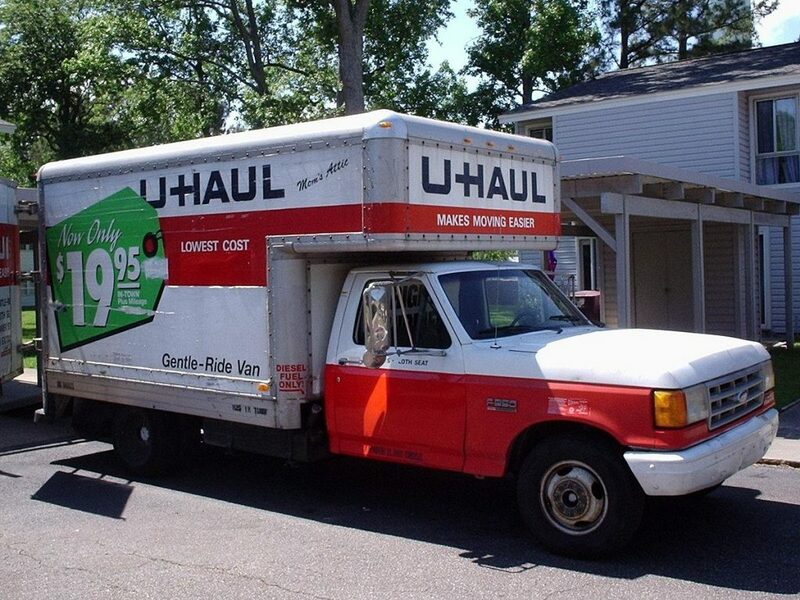 When Paul and I moved to our first house, he brought boxes of them to Virginia from Pennsylvania. He and I planted them behind our fence and in the flower beds. 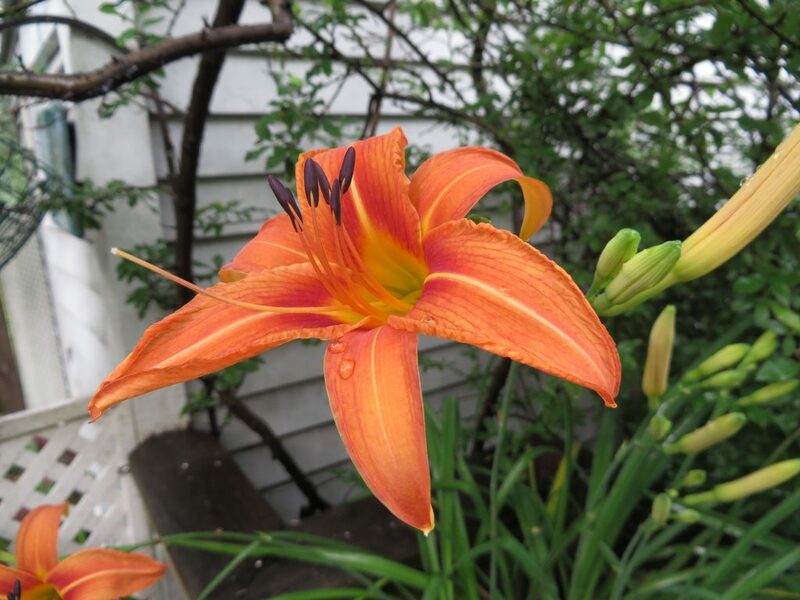 Years later, we had to reconfigure the backyard and extend the deck over a patch of those prolific daylilies. I tried to salvage as many as I could but ran out of room, so we decked right over the rest. For three seasons they still pushed up through the wood slats, trying to bloom! Why I love the Iris? It’s purple. Yay! And it’s just such a spring flower, reminding me of warmer days ahead. How about you? What’s your favorite flower, and what emotional connections does it have for you? You can check them out in our bookstore! 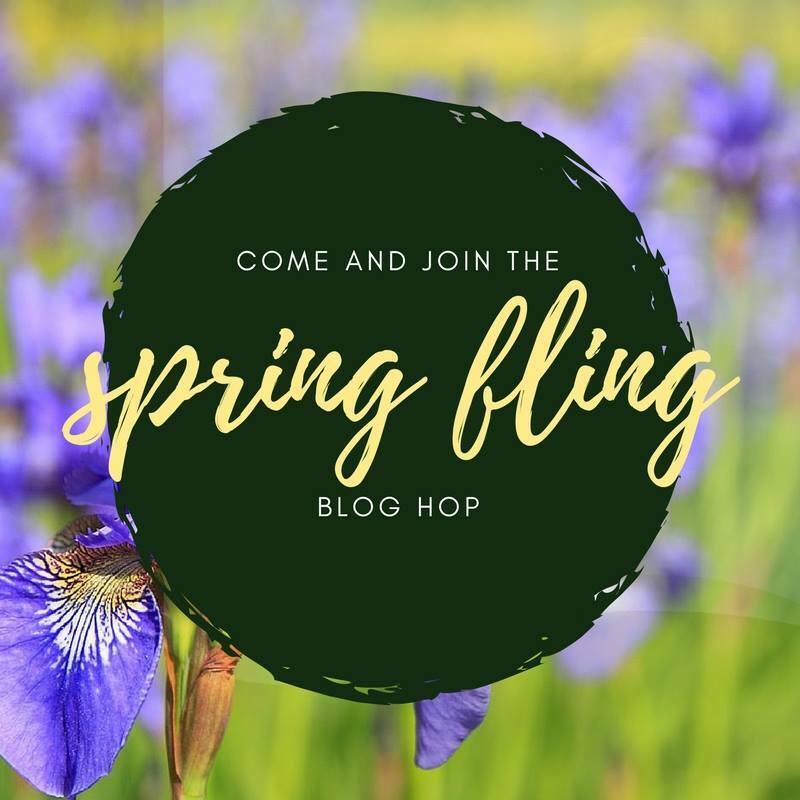 And here’s the list of other blogs participating in the Spring Fling Blog Hop! This entry was posted in Just for Fun, My Secret Garden and tagged emotions, flowers, Gilian Baker, K.B. Owen, Kassandra Lamb, Kirsten Weiss, memories, misterio press, mystery novels, mystery series, relationships, Shannon Esposito, spring, Vinnie Hansen on March 20, 2017 by Kassandra Lamb. Shannon Esposito and I are doing our happy dance again, because we have a new member in our misterio press group. But I must say that we approached the idea of inviting this new author with some trepidation. Not because we didn’t think she would be great (we did), but because it had been awhile since we’d brought in someone new. Our little group had gotten quite cozy and comfy with each other. Did we really want to upset that? We asked the other authors, and the general reaction was “Sure, invite her in!” So we did. Please help us welcome Gilian Baker to our little band! Gilian is a former writing and literature professor who finally threw in the towel and decided to just show ‘em how it’s done. She has gone on to forge a life outside of academia by adding blogger & ghostwriter to her CV. She currently uses her geeky superpowers only for good to entertain cozy mystery readers the world over. When she’s not plotting murder, you can find her puttering in her vegetable garden, knitting in front of the fire, snuggled up with her husband watching British mysteries, or discussing literary theory with her daughter. Our hesitation about issuing the invite to Gilian reminded me of past risks Shannon and I have taken. A few didn’t turn out quite like we’d hoped, but most of them have. And wouldn’t life be dull if we never took risks nor reached out to others? I remember how hesitant I was about spending the money on a writers’ conference back in 2011. The conference was near enough to my home that I could drive, but still it was a lot of money when you figured in hotel room and meals on top of the registration fee. But if I was going to get my new career as a fiction writer off the ground, I needed to network. During a break between sessions, a few attendees were standing outside getting some fresh air. None of us knew each other, so of course the conversation was a little inane. One woman and I somehow ended up comparing hairdressers (I think it started when I admired the lovely blonde streaks in her hair). Later I ran into the same gal at the last event of the day, one on e-publishing, a new- fangled thing at the time. Then we collided again in the line to get our free glass of wine at the cocktail party that evening. As we chatted about this brave new world of e-publishing, we became more and more excited about the possibilities. While others were schmoozing with the agents and publishers, she and I were huddled in a corner, plotting (and getting a little tipsy). That woman was Shannon and the plot we hatched was to start misterio press. That evening I went out to dinner with her and her family (It was a “Hey hon, look who followed me home; can I keep her?” kind of scene 😉 ). By the end of the evening, a new friendship was budding as well as a new business venture. Taking risks is hard, and letting a stranger into your territory is definitely taking a risk. We certainly don’t want to be naive and trust just anyone. We do want to evaluate a situation and weigh how much of a risk we are really taking. And perhaps we may want to look at contingency plans, should things go awry. But sometimes our instincts tell us to give someone (or some idea) a chance. You all know I am big on trusting one’s instincts. And what happens if we never take risks? Stagnation happens. We stop growing and learning. 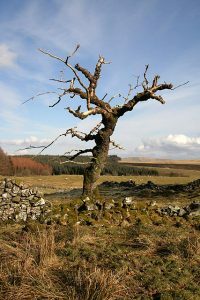 What happens to a tree when it stops growing—when it stops reaching for the sunshine? It starts dying. 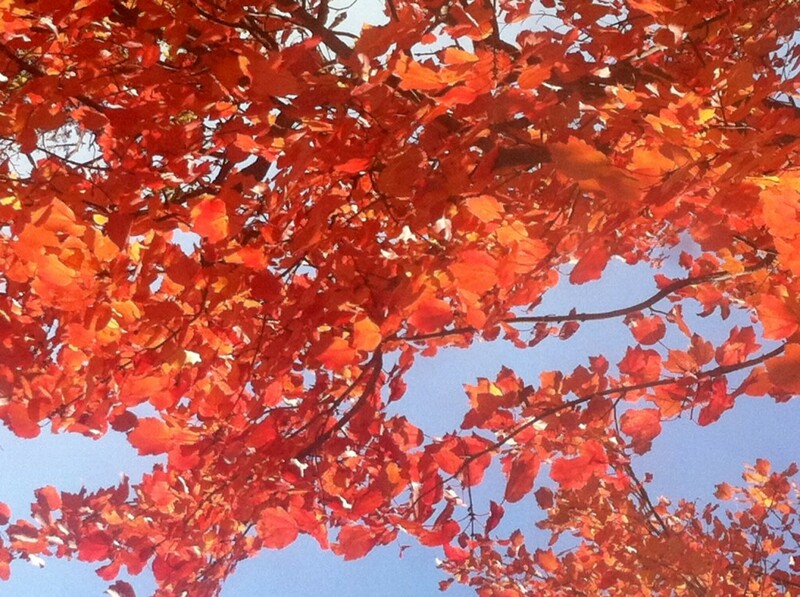 Its leaves shrivel and its branches dry up. So even though it’s always a little scary to reach out to someone who’s essentially a stranger, it can have huge payoffs. And here we are, Shannon and I—strangers at that conference five and a half years ago—but today, we have a successful indie press going, with six wonderful authors! 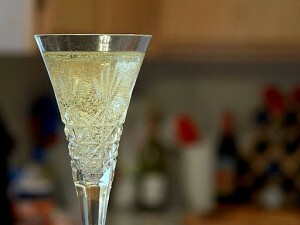 Please grab a glass of virtual bubbly and toast our newest member with us. Here’s to Gilian! And to taking the risk to reach out. Cheers!! What risks have you taken in your life? When has reaching out to a stranger paid off for you? Posted by Kassandra Lamb. Kassandra is a retired psychotherapist turned mystery writer. 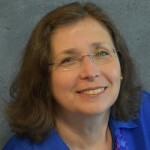 She is the author of the Kate Huntington psychological suspense series, set in her native Maryland, and a new series, the Marcia Banks and Buddy cozy mysteries, set in Central Florida. 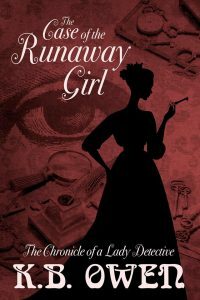 This entry was posted in Announcements, New Releases, Giveaways & Contests, Mental Health Musings and tagged Gilian Baker, Kassandra Lamb, mental health, misterio press, mysteries, mystery novels, mystery series, psychology, reaching out, Shannon Esposito, taking risks on March 14, 2017 by Kassandra Lamb. 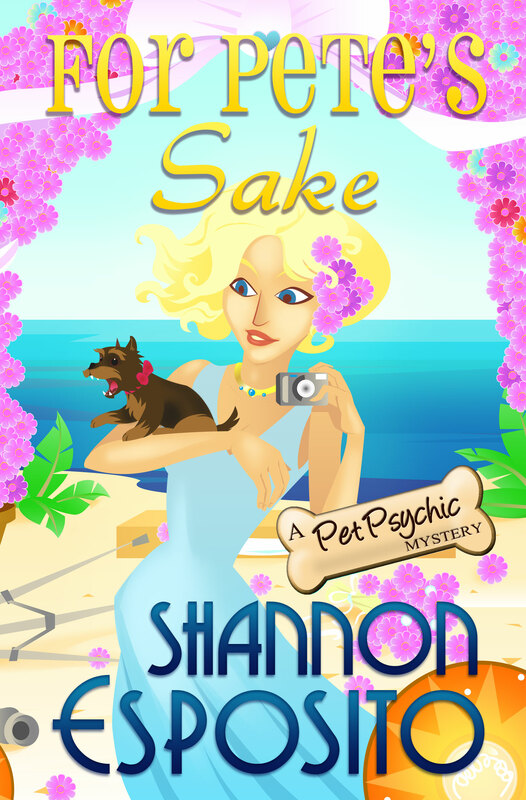 Today is the official release day of FOR PETE’S SAKE (A Pet Psychic Mystery no. 4)! Because the victim in this mystery is a wedding photographer–who also takes photos of shelter animals to help them get adopted–I thought I’d celebrate the book’s release by sharing some basic tips on how to get great shots of your own pets. 1) Background: Be aware of your background. Is there something behind your pet that’s distracting? 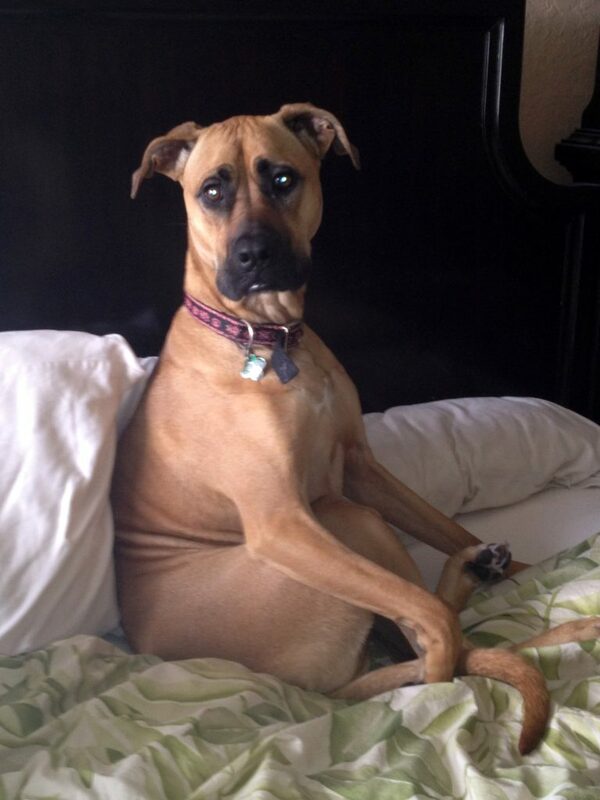 If you want your pet to be the sole focus, you can use a neutral background like a plain wall, grass or window. Tip: Use a wide aperture to create a shallow depth of field (like the example above). 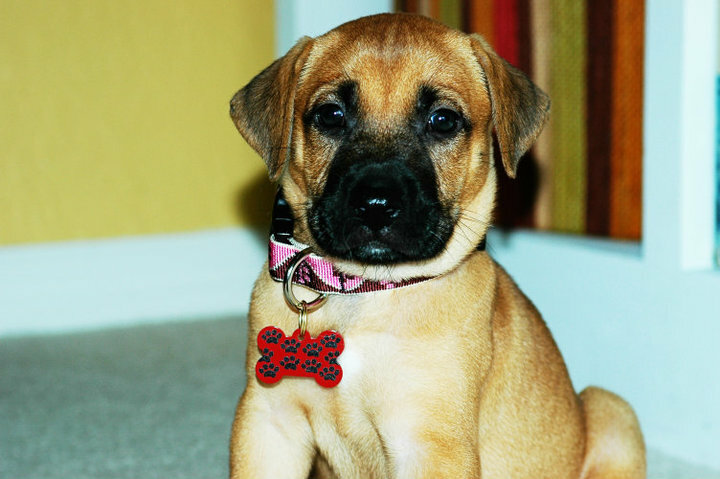 To do this, set your camera on “aperture priority” and set the aperture to the lowest f-stop number (ex: 1.4 or 2.8) This will blur the stuff in the background, so your pet will still be the focus of the shot with minimal noise. Just make sure your camera is focused on your pet’s eyes. 2) Perspective: Get down on your pet’s level. Shooting from a standing position aiming down doesn’t make as nice a photo as shooting them at eye level. Don’t be afraid to lay on the floor with them, get in their world and get a more intimate shot. 3) Lighting: This one is more complicated. The easiest way to have great lighting is to utilize natural light. Shoot outdoors in either early morning or late evening sun. (Midday sunlight is too harsh.) If you’re shooting indoors, use the natural light coming through a window and have your back to the window. 4) Shutter speed: Pets can be hard to photograph if they’re active. The best way to combat this is with a fast shutter speed. You can set your camera to “shutter priority” mode. Keep in mind that the faster the shutter speed, the more light you will need. Or if your camera has a “sports mode” this will also automatically set a high shutter speed for you. I also recommend shooting in continuous focus mode instead of single shot. That’s the basics. Have any other tips or tricks to share? A picture perfect wedding in paradise…what could possibly go wrong? Pet boutique owner and reluctant pet psychic, Darwin Winters, is looking forward to watching her best friend and business partner, Sylvia, say “I do” to the man of her dreams. But when their wedding photographer turns up dead on the big day—and Sylvia’s superstitious mother believes his heart attack is a sign their marriage will be cursed—Sylvia’s dream wedding quickly becomes a nightmare. Darwin only has a week to help her detective boyfriend prove the photographer’s death was not from natural causes before Sylvia’s family jets back home to Portugal, and the wedding is off for good. As more than a few suspects come into focus—including Peter’s model clients, a rival photographer and the director of an animal shelter being investigated for fraud—time is running out. With just one clue from the photographer’s orphaned Yorkie pup to go on, can Darwin help save Sylvia’s wedding and capture a killer? Or will both justice and Sylvia’s wedding cake go unserved? Posted by Shannon Esposito. Shannon lives in a magical gulf coast town with fluorescent sunsets, purple dragonflies and the occasional backyard alligator. Her mysteries transport readers to Florida without the hefty price of airfare. She is the author of the Pet Psychic Mystery series set in St. Petersburg, Florida and the Paws & Pose Mysteries set on the ritzy, fictional island of Moon Key and featuring doga instructor Elle Pressley and her canine sidekick, Buddha. This entry was posted in Announcements, New Releases, Giveaways & Contests and tagged cozy mystery, dogs, pet portraits, Pet Psychic book 4, pet psychic mysteries, pets, photography, Shannon Esposito on November 1, 2016 by Shannon Esposito. As the weather gets cooler (and yes, it’s even cooler down here in Florida now), one has the urge to eat something hot and filling, and then curl up with a good book by the fire. We’ve got the good books covered for you (see below 🙂 ), so for this month’s group post, we thought we’d share some of our fave cold-weather/Halloween recipes. We even have drinks and dessert. First up, K.B. Owen with a cocktail (a nonalcoholic drink recipe is at the end). 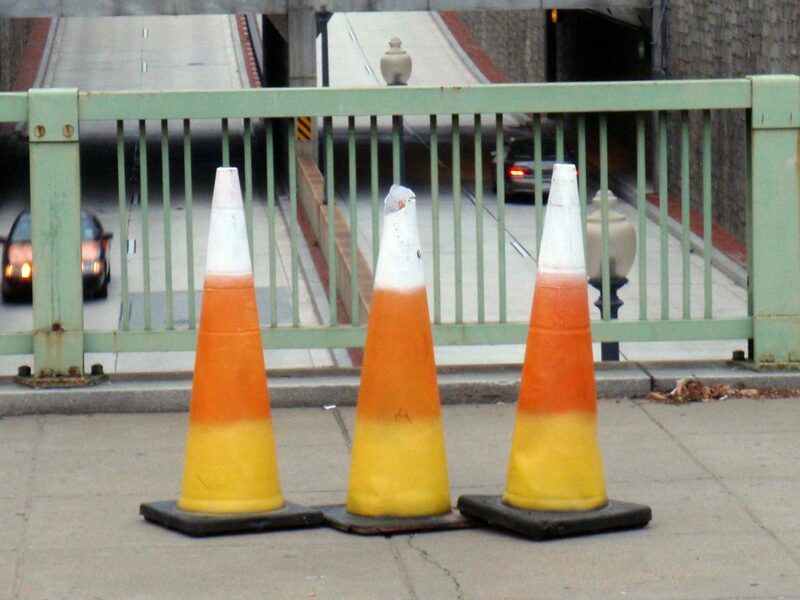 But this is the first time I’ve heard of a candy corn drink. Pour 1/3 oz Galliano liquer into a shot glass. Carefully pour 1/3 oz orange curacao on top, so it floats. Top off with 1/3 oz whipping cream. Like my protagonist, Kate Huntington, I’m not much of a cook, but even I can use a slow cooker. 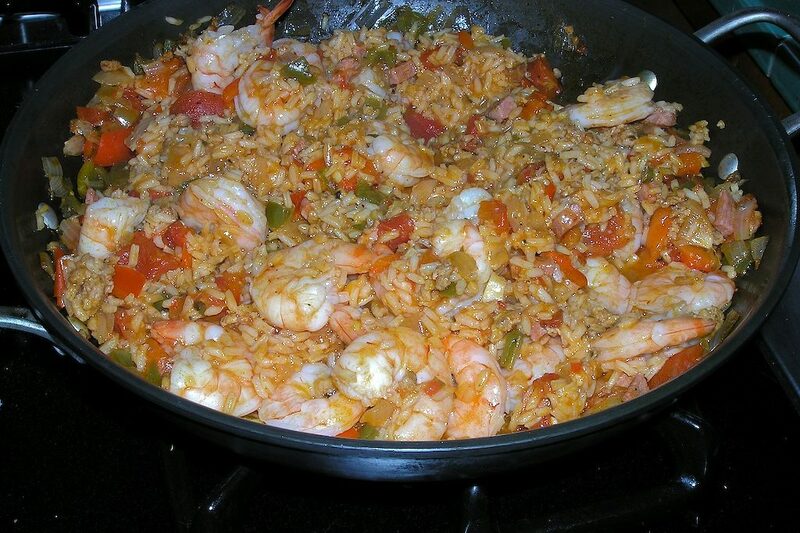 Here’s my favorite version of jambalaya, made with shrimp! (I looove shrimp.) Also I’m a lazy cook, so I have modified this a bit to make it easier. *Can also be made with 2 lbs boneless chicken, cut into 1-inch pieces (or with both, in which case use 1½ lbs of chicken and 1 lb of shrimp). Put onion mixture and everything but the shrimp in the slow cooker. Taste, add additional hot sauce if you like it spicier. Serves 6-8 people. For hubs and I, we get 3-4 meals out of it. Freezes well! 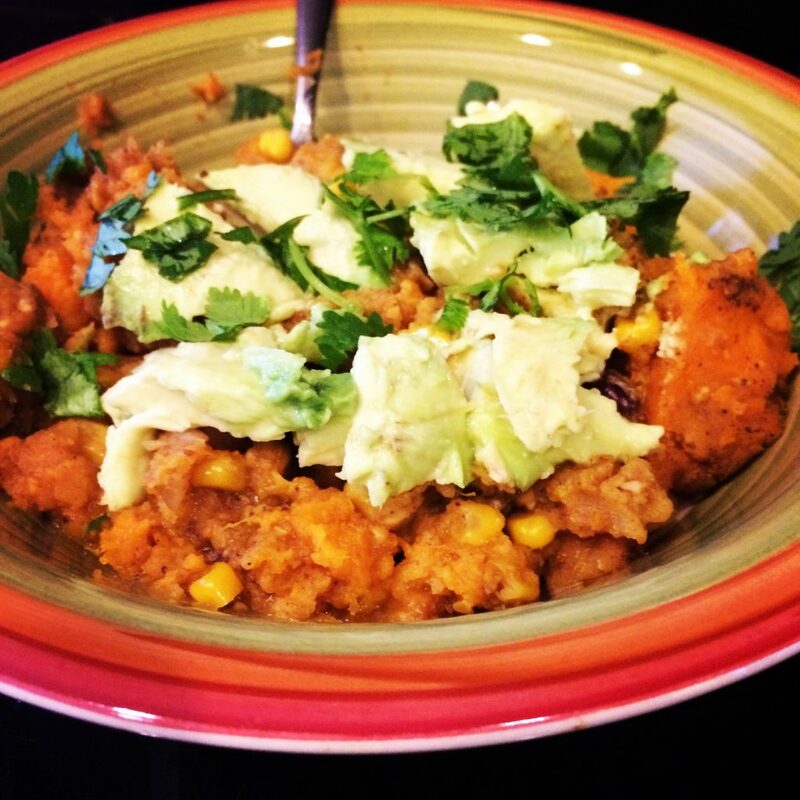 For the vegetarians in the crowd, here’s Shannon Esposito’s fave cold-weather dish. Add all ingredients (except garnishes) to slow cooker. Mix well. And for dessert, we have a great cookie recipe from Kirsten Weiss… Yum! You’ll need cookie cutters for these, preferably Halloween-themed cats and moons and bats. But you can also just cut them into circles and go wild with the decorating. Whisk the flour, allspice, nutmeg, and salt together in a medium-sized bowl. Set it aside. In another, bigger bowl, beat the butter and sugar with a mixer on medium speed until the ingredients are light and fluffy. Add the vanilla and egg and beat them into the butter mixture. Set the mixing speed to low and add the flour mixture. Beat until the ingredients come together as a dough. On a lightly floured surface, turn out the dough and divide it in half. Press each half into a thick disk, wrap them separately in plastic wrap, and put them into the refrigerator for about an hour, until they’re firm. 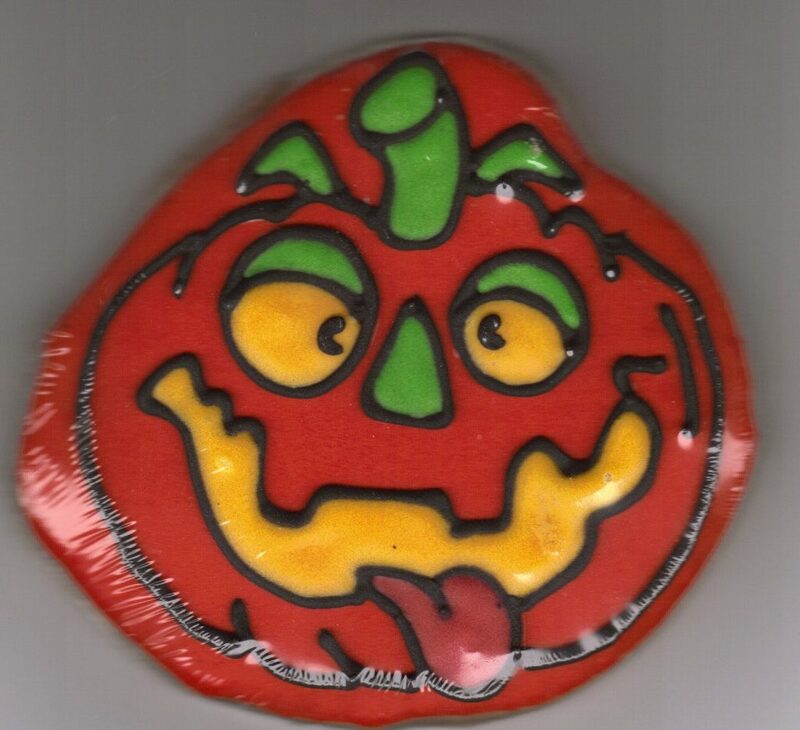 With parchment paper, line two cookie sheets. Roll out one of your dough disks on a lightly floured surface until it is approximately 1/8” thick. Cut out cookies with your cutters and transfer them to the parchment-lined baking sheets. Repeat with the other disk. Bake 8-10 minutes, until the edges of the cookies are lightly browned. Remove the cookies and set them on cooling racks. When they are room temperature, make the icing. With an electric mixer on high, beat the egg whites until soft peaks form. Add the powdered sugar and lemon juice. Keep beating the mixture until it is shiny and thick. Add more sugar or water to get the right consistency for the icing to spread easily. Divide the icing between small bowls and add food coloring. 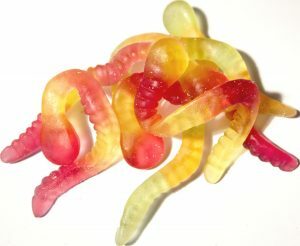 Lay gummy worms along the bottom of a 5-cup ring mold, then fill with lemon-lime drink. Freeze for 8 hours/overnight, until solid. Pour boiling water over gelatin in heat-proof punch bowl; stir until gelatin dissolves. Stir in cold water. Add lemon-lime soda and sugar; stir well. Before serving, dip bottom of ice mold in hot water to unmold ice ring. Float in punch bowl. Serve cups of punch garnished with gummy worms, if desired. What’s your favorite cold-weather recipe? 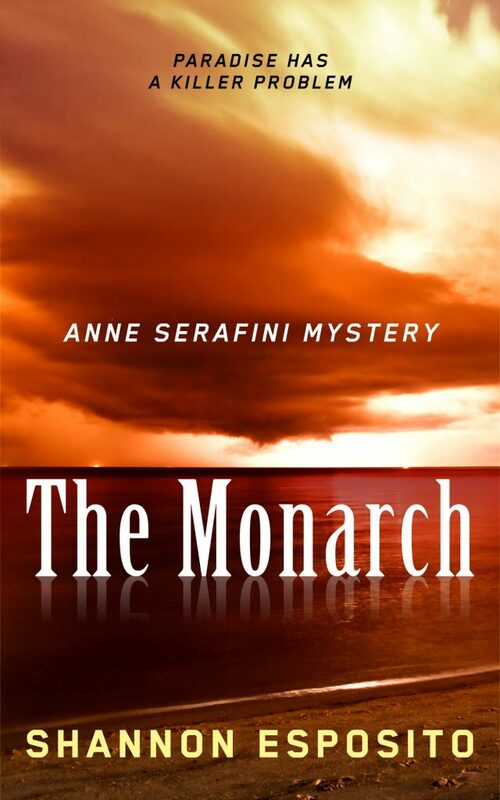 Shannon has a brand new cover for her spooky thriller, The Monarch. Fate seems to have mistaken Anne Serafini, a forensic photographer, for superwoman and she’s not amused. After being stabbed, witnessing a friend’s murder and shooting a man in self-defense, Anne realizes she’s been Fate’s puppet all along. 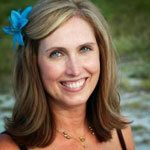 Now she’s chosen Anna Maria Island to try and take back control of her life. Unfortunately—when a murdered girl washes up on the beach—Anne understands, once again, Fate has chosen this place for her. 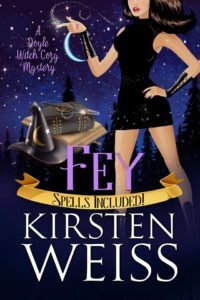 When Anne’s two eccentric aunts decide it’s time to let her in on the family secret, they tell Anne she is the latest fourth-generation woman in her brown-eyed family to be born with green eyes and a paranormal gift. Anne’s gift is being in the wrong place at the right time. The gift of serendipity. But, the gift is also a curse. Each green-eyed woman has died before her twenty-eighth birthday. Anne will turn twenty-eight in three weeks. Can she embrace her gift and help stop this budding serial killer? Or is he the tool Fate will use to fulfill the family curse? James Fitzgerald is looking forward to a weekend getaway with friends at the country house that once belonged to his parents. Instead he walks in on a bloodbath. And a cryptic message on a shower curtain points to him as the killer. The small town sheriff is smarter than he looks. He knows he doesn’t have enough evidence to make an arrest… yet. Virtually under house arrest, James tries to distract himself from his grief and worry by investigating his parents’ backgrounds. Maybe he can find an explanation for the strange fainting spells he’s been having. Soon he is wondering if it’s sometimes better to let sleeping ghosts lie. 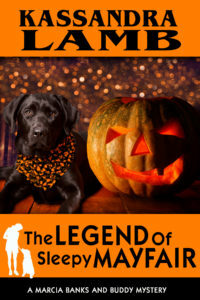 This entry was posted in Announcements, New Releases, Giveaways & Contests, Just for Fun, The Secret Ingredient and tagged candy corn shooters, ghosts, Halloween, Halloween spice cookies, jambalaya, K.B. 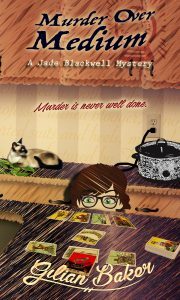 Owen, Kassandra Lamb, Kirsten Weiss, misterio press, mystery novels, mystery series, paranormal, recipes, Shannon Esposito, sweet potato chili on October 25, 2016 by Kassandra Lamb. In addition to the crispness of fall and the hint of wood smoke on cooler evenings, change is in the air at misterio press. We have a lot of new releases coming up, and new series being started by some of our authors. Change can be both good and bad. And even good changes are stressful. Thomas Holmes and Richard Rahe, authors of the very first psychological stress test, knew that. “Marriage” is #7 on their inventory with 50 adjustment points attached to it (“death of a spouse” is first with 100 pts). “Retirement” is #12 and “outstanding personal achievement” is #25 with 28 points. Holmes and Rahe contended that anything that requires adjustment adds to our stress level, even going on vacation (#41, 13 points) which is mostly about de-stressing. 1. Remember that even positive events can still have their down moments. If one approaches life transitions with a black and white attitude, the first thing that goes even a little bit wrong can be devastating, and can then influence your emotional view of later developments. It’s a natural tendency when we are excited about something to be thrown for a loop if there’s a glitch. The more intense the positive emotion of anticipation, the more intense the disappointment can be if something doesn’t go just right. At such moments, we need to step back and look at the big picture. More on this in a moment. 2. Research what to expect, good and bad, and see yourself dealing with it. If it’s a big move or a new job/career, find out as much as you can about that locale or vocation. If it’s a new level of relationship commitment, do a lot of talking with your partner about how this change will affect both of you. Why is it important to be so well informed? Because stressors that take us by surprise are a lot more stressful than those we see coming. 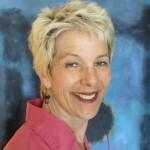 Then visualize yourself in the new situation; this is a form of emotional practice. 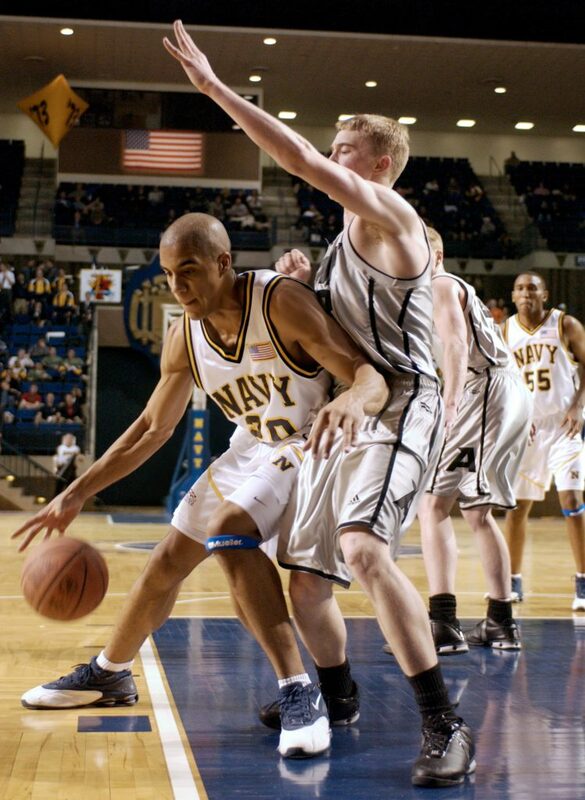 Like the athlete who practices jump shots or the back stroke, if we practice dealing with a situation in our mind’s eye, we will be better prepared for it when it becomes reality. Imagining the challenges, payoffs and problems of the new situation will also allow us to develop some strategies ahead of time for dealing with them. One time, I took a new job that was an hour from home. It was a good opportunity, better pay, but as I contemplated the downside of that long commute, I felt my excitement eroding. I imagined myself listening to the radio. That helped some. Then a better answer hit me. Audio books! The commute ended up being the best part of my day. 3. Realize there may still be unforeseen developments. Don’t let all this researching and imagining and advance problem-solving lull you into believing that you are ready for anything. There may still be some things you don’t foresee, good and bad, but if you are prepared for most aspects of the transition, you can focus more of your coping skills and emotional energy on the things you didn’t anticipate. 4. Be prepared to grieve, at least a little, for how things used to be. Very little is gained in this life without having to give something up. Realize that missing the freedom of single life doesn’t mean you don’t want to be married, or occasionally remembering a simpler time with nostalgia doesn’t mean you don’t want this new, more challenging job. Life, and emotions, are more complicated than that. There are trade-offs and nothing is all good or all bad. When we moved from my home state of Maryland to Florida, I found I missed the strangest things, not always the things I’d liked all that much when we lived up north. I missed the crispness of the air in the fall (humid Florida air is never crisp!) But I’d hated autumn when we lived in Maryland because the dreaded winter was right behind it. After a couple of years of adjustment, autumn is now my second favorite season. 5. If your life transition involves another person (or persons), maintain a “we’re in this together” mentality. It’s easy to get snippy with each other if things aren’t going perfectly (again, emotions are running high). But a strategy of “we’re over here together and this thing we’re dealing with is over there” will help keep the stress of adjustment from coming between you. And it will strengthen everyone’s ability to cope. 6. Nurture your sense of adventure. If you can view life transitions as an exciting new opportunity, you’ll be in a more upbeat place to handle the transition. Being anxious tends to make us view change with suspicion and negativity. If you can balance a realistic, “This may not go completely as planned,” with “This is gonna be great,” this new phase of your life will indeed be more great than not! At my wedding rehearsal, Murphy’s Law was in full swing. 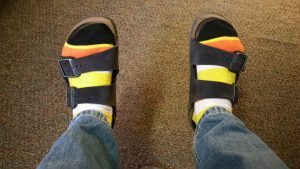 Everything went wrong, and I ended up having a meltdown. Mom and I intent on keeping me cool on my wedding day! Her pep talk worked as she got me to step back and look at the big picture. Several things did go wrong the next day, starting with my father tripping over my train and letting out a loud “Oops.” But instead of being embarrassed, I laughed along with everybody else! Two of our authors have new releases that fit this theme of life transitions. And since they are murder mysteries, of course the unexpected happens early on. Here they are, now available for preorder. I think you’ll love them; I do! 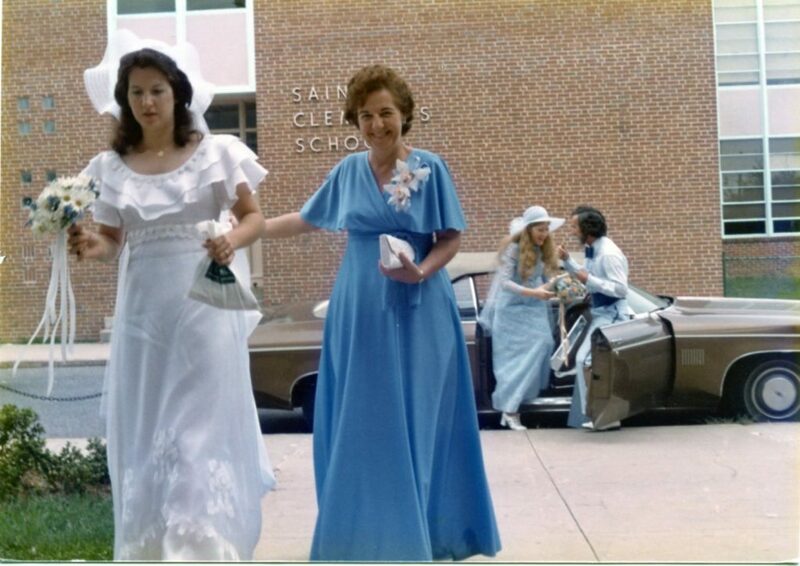 A stolen blueprint, a dead body, and wedding bells…. Change is in the air at Hartford Women’s College in the fall of 1898. Renowned inventor Peter Sanbourne—working on Project Blue Arrow for the Navy—heads the school’s new engineering program, and literature professor Concordia Wells prepares to leave to marry David Bradley. The new routine soon goes awry when a bludgeoned body—clutching a torn scrap of the only blueprint for Blue Arrow—is discovered on the property Concordia and David were planning to call home. To unravel the mystery that stands between them and their new life together, Concordia must navigate deadly pranks, dark secrets, and long-simmering grudges that threaten to tear apart her beloved school and leave behind an unseemly trail of bodies. Or get it NOW in paperback on Amazon! How about you? How well do you cope with life transitions, and change in general? This entry was posted in Announcements, New Releases, Giveaways & Contests, Mental Health Musings, Stress Management and tagged change, Concordia Wells, Darwin Winters, emotions, happiness, K.B. Owen, life transitions, mental health, mystery novels, mystery series, new release, paranormal, Pet Psychic series, psychology, Shannon Esposito, stress, stress management, weddings on October 18, 2016 by Kassandra Lamb. Time for another round of book reviews from some of our misterio press authors. Most writers don’t get to read nearly as much as they’d like to, because so much time is taken up with their writing. So when we discover a really good book, it’s an extra special treat! Supermodel Lulu Landry takes a swan dive off her balcony. Is it suicide or murder? Down-on-his-luck PI Cormoran Strike has been hired to find out. The Cuckoo’s Calling, this first-in-the-series mystery novel by Robert Galbraith, aka JK Rowlings, is one of the best mysteries I’ve read in a long while. The characters are engaging and beautifully drawn – especially Cormoran and his new, temporary secretary, Robin, who has (quite realistic) fantasies of becoming a PI herself. Cormoran’s lost part of one leg to Afghanistan and has just broken up with his larger-than-life girlfriend of over a decade. Plus, he’s got another albatross around his neck – the PI is the illegitimate son of a famous rock star. In the hands of a lesser writer, these could all have just been intriguing details, but Galbraith/Rowlings weaves them into a compelling picture of a three-dimensional tough guy. The twists and turns in the mystery itself are worthy of Agatha Christie. Readers will need to draw a flowchart to figure this one out. I didn’t bother though; I was having too much fun enjoying the ride. Fortunately, the next two books in the series – The Silkworm and Career of Evil – are already available to fulfill my need for more of these can’t-put-down characters. I did find the book depressing on one score. 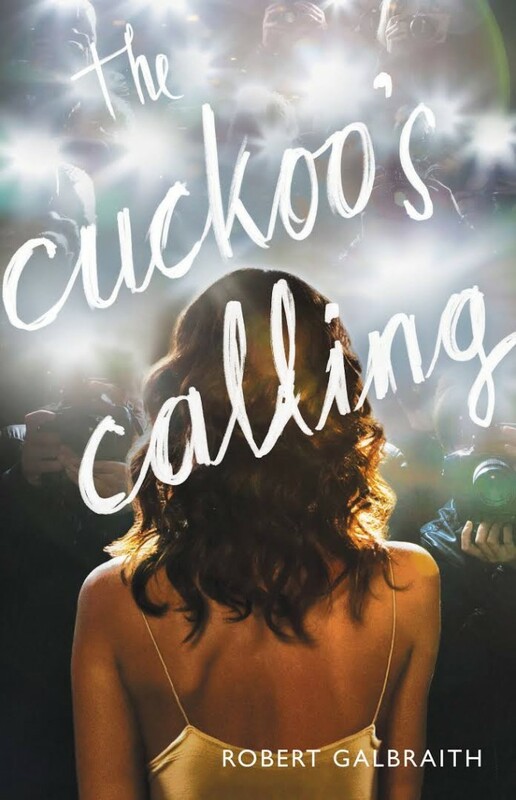 JK Rowlings initially pubished The Cuckoo’s Calling under the pseudonym “Robert Galbraith” to see if she coukd “make it” under another name. It wasn’t until it was leaked that JK Rowlings was Robert Galbraith that sales for The Cuckoo’s Calling took off. And the fact that such a well written, fun, and engaging mystery languished says something about the state of today’s publishing industry. On the other hand, as a mystery writer, I love, love, love to see such a wonderful book out in the world. So if you love a good, twisty mystery, you might want to check out The Cuckoo’s Calling. It’s been awhile since I’ve been excited about a new character in the mystery genre, but this book of short stories has done it. 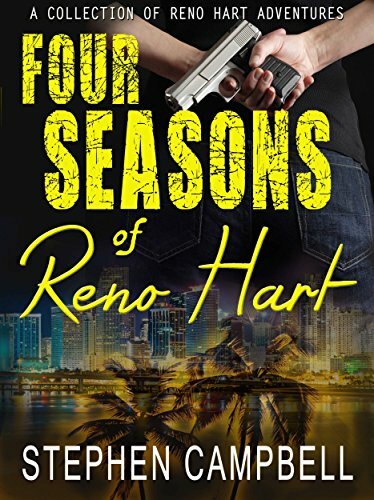 Reno Hart is one strong heroine! I love that she doesn’t need to use violence to crack cases, but instead uses her brains and creativity. 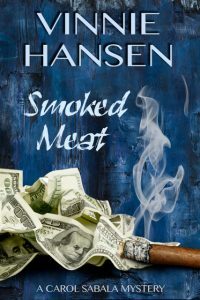 Anyway, if you’re a fan of the mystery genre, you won’t be disappointed in these well-plotted, well-executed bite-sized stories that capture Florida in all her glory and corruption. Highly recommend & can’t wait for a full length Reno Hart novel! Five fingerprints! I try to read indie as much as possible these days, to support my fellow authors. Sadly, some of these books aren’t very good, but now and again, I discover a real gem. Such is the case with Marcia Meara’s Wake-Robin Ridge series. Book 1 is one of the most unusual novels I have read in a long time. It was a little hard to categorize. Is it a redemption story, or a mystery, or a romance? All of the above. There’s a healthy serving of each of these, plus some interesting and believable paranormal seasoning. It probably fits best into the romantic suspense genre, because there is definitely a budding romance between Sarah Gray, who has relocated to North Carolina to try her hand at writing, and her handsome but haunted neighbor, MacKenzie Cole. 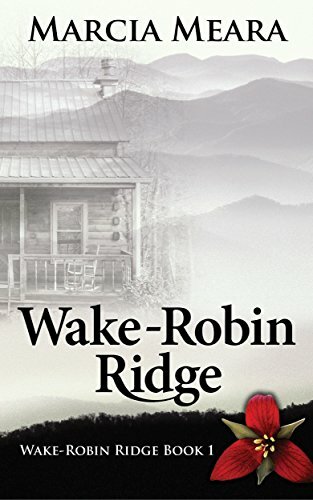 The book tells the stories of two women who both lived in the same cabin on Wake-Robin Ridge, 50 years apart–Ruthie in the 1960’s and Sarah in 2011. There are so many intriguing elements in this book. Just when you think you have it pegged, some new twist comes along. The two women’s stories come crashing together in a mind-boggling way, and Mac and Sarah work together to solve the mysteries of Ruthie’s life and death, and to put to rest more than one ghost from the past. I purchased this book as part of a boxed set of two books. Book 2, A Boy Named Rabbit, also defies genre boundaries. It is one part mystery and one part family saga. A young boy, who’s only human contact has been his grandparents, finds himself alone in the North Carolina hills after his grampa goes for supplies and doesn’t return and his sick grandmother dies. His gran’s last instructions to him are to go and find the Good People. Scared and lonely, ten-year-old Rabbit sets out to keep his promise to her, living off the land as his grampa taught him. Mac and Sarah have settled into a comfortable routine on Wake-Robin Ridge as they await the birth of their child, but their well-ordered world is turned upside down when Rabbit stumbles into their lives. 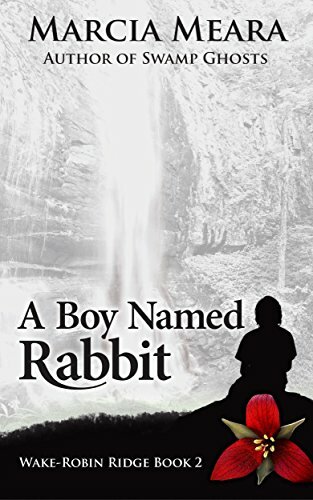 And their quest to find his kin resurrects a decade old mystery and attracts the attention of the one person his grandparents never wanted Rabbit to meet. Both of these stories are great and well worth the investment of time and money. I’m knocking off a half fingerprint each because the story arc in Book 2 is a little off kilter in places, and the author sometimes is a bit heavy-handed with the descriptions of characters’ emotions–more so in Book 1, which is forgivable since this was the first book she wrote. I am really looking forward to Book 3, Harbinger, which is already loaded on my Kindle. I often discover new authors via writing and mystery conferences. 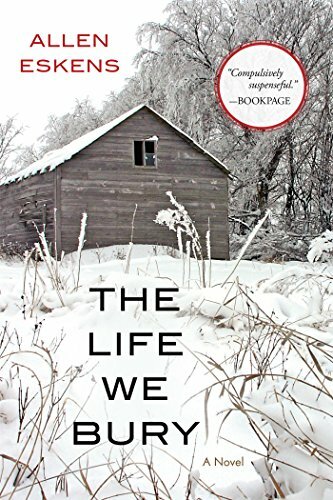 When I attended Left Coast Crime in Portland last year, I met Allen Eskens, whose book The Life We Bury was nominated as a best first mystery novel. It became my favorite book of 2015, the book I recommended to everyone, the way William Kent Krueger’s Ordinary Grace had been the year before. These two favorite books share Minnesota settings and young male protagonists with handicapped younger brothers. In both books, the need to shelter the younger brother provides motivation and pivotal tension. The two books are told in first person and center around a crime committed decades ago. However, the narrator of Ordinary Grace places us back in that time when he was young and death unfolded around him. Most of the action in The Life We Bury unravels in modern times, with the main character unearthing the past. Joe Talbert, a college student, is given an assignment for an English class, and. . . . I have two nits to pick with The Life We Bury. I don’t like the title, and I saw the last major plot twist coming from a mile away. The latter allowed me to feel like a smarty pants, so I’m still giving it 5 fingerprints. I’d give it a little plus if I could. How about you? What good mysteries have you read recently. Posted by Kassandra Lamb on behalf of the whole gang. 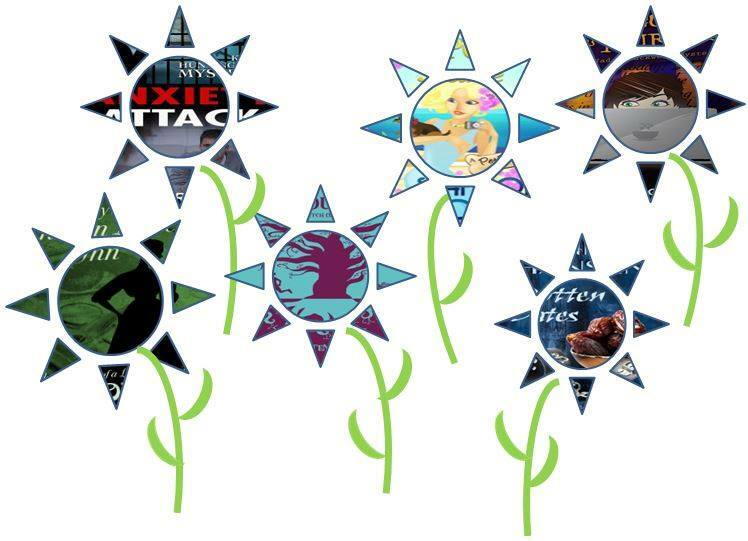 This entry was posted in Book Reviews and tagged book reviews, Four Seasons of Reno Hart, JK Rowling, Kassandra Lamb, Kirsten Weiss, mystery novels, mystery series, Shannon Esposito, The Cuckoo's Calling, The Life We Bury, Vinnie Hansen, Wake-Robin Ridge on August 9, 2016 by Kassandra Lamb. Mia culpa! I’ve been so busy writing guest posts this week that I didn’t come up with one for our blog… So here are the two fun ones I’ve posted elsewhere the last few days. And I finally have my Hawaii pictures up on my own website (only took six months). Take a look! Around the time I was getting serious about my writing, the buzz in the writerly world was all about how blogging was a must if you wanted to build a “platform” on social media. Having no clue what a platform was, and knowing nothing about social media or blogging, I took the plunge. Shannon Esposito and I had just conceived of the idea of misterio press, and I was taking care of legal matters while Shannon set up the website. Since I didn’t yet have a blog established, I volunteered to be the main blogger here. That was four years ago – it seems much longer than that – and I’ve been posting on our blog almost every week, sometimes twice a week. I’m starting to run thin on topics to cover, but part of me just isn’t willing to cut back. Con #1: Blogging takes time away from writing books. Pro #1: Blogging takes time away from writing books (i.e., it’s a great way to procrastinate when you should be writing). And I had a lot of fun interviewing the main character in my Kate Huntington and Kate on Vacation series, over at Marcia Meara’s The Write Stuff. Check out what Kate has to say about all the corpses I keep putting in her path. It’s an awkward situation at best, and a deadly one at worst. Days before Kate Huntington is scheduled to leave for her niece’s wedding on Maui, she receives a frantic call from said niece. Amy’s mother–Kate’s rather difficult sister-in-law–is at it again, alienating the groom’s family and even the wedding planner. Can Aunt Kate come early and run interference? Soon after her arrival, Kate discovers that young women are going missing on the island, and Amy’s maid of honor is hanging out with a notorious local player. Is he involved in the disappearances? 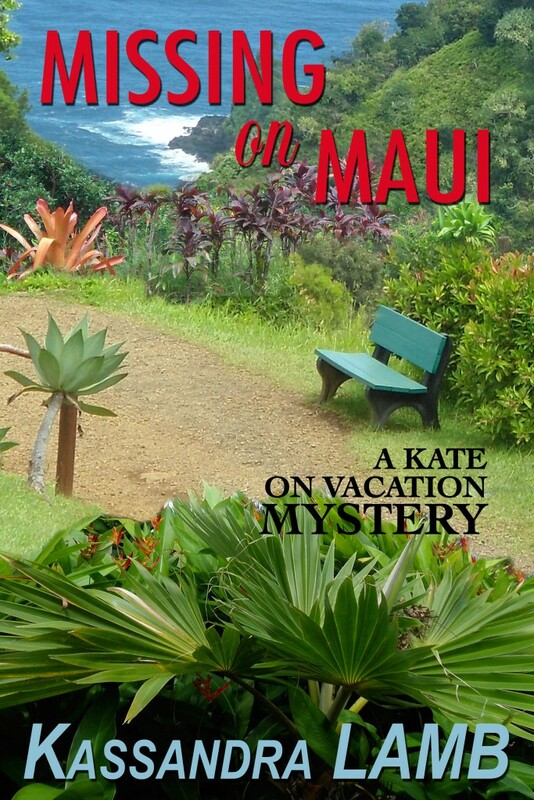 Hawaii is supposed to be a relaxing paradise, but Aunt Kate is kept busy locating a new wedding planner (the delightful Pali Moon), refereeing between Amy and her mother, and chasing down errant wedding party members… Oh, and facing off with a psychopath. 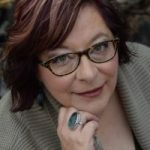 This entry was posted in Announcements, New Releases, Giveaways & Contests, Just for Fun, On Writing and tagged author platform, Barb Taub, blogging, cozy mystery, Hawaii, Kate Huntington, Marcia Meara, misterio press, mystery novels, mystery series, new release, Shannon Esposito on June 19, 2016 by Kassandra Lamb.